Purple to Pink faded top and bottom with Teal platters, applied directly over a raw beech tama allowing the natural wood grain to show through. This tama sports our most recently designed Phase 1 Clear coat which features the shine of Pro Clear, but has a lot more stick. These tamas slay right out of the box, but like Pro Clear, will only get better with play. Prime Customs are Prime Kendamas, painted in the Sweets Shop. We want to provide a premium version of the Prime line, and show off what our in-house painters can do! 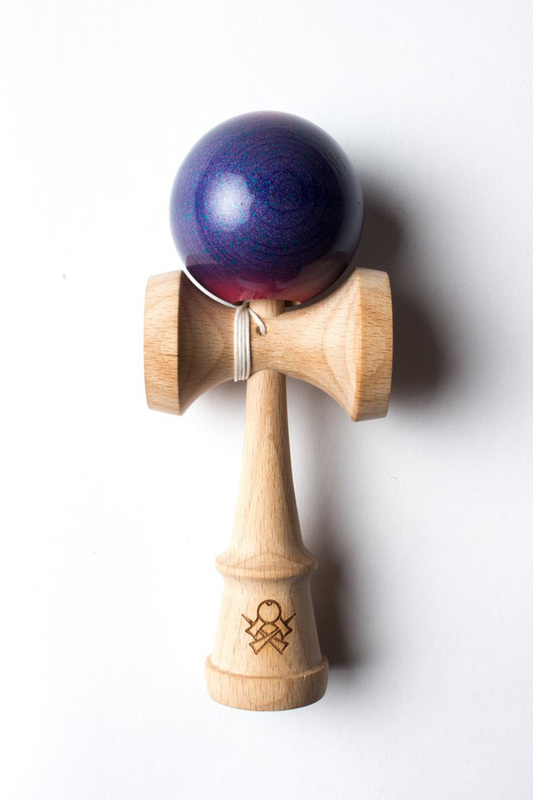 Prime Customs have their own packaging, include a spinner bead and have a cross ken on the handle instead of the Sweets mark, but the shape, specs and measurements of the kendama are exactly the same as a regular Prime.